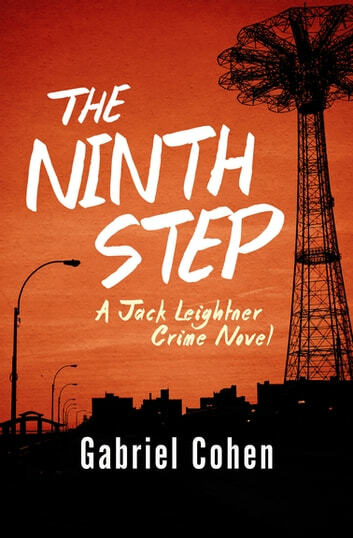 In this fourth novel in Edgar Award finalist Gabriel Cohen’s acclaimed crime series, Brooklyn homicide detective Jack Leightner reopens the case of his brother’s death four decades later. Cutting class, young Jack Leightner and his brother, Petey, are playing near the Brooklyn waterfront when they find a hidden case of Scotch. They are carrying it home when two teenagers from outside the neighborhood stop them and demand they hand over the booze. Jack refuses, and one of the muggers draws a knife, changing Jack’s life forever. Forty years later, now a veteran of the elite Brooklyn South Homicide Task Force, Leightner still has not come to grips with that fateful day in Red Hook. He is making breakfast one morning when a man appears on his doorstep and introduces himself as Petey’s killer. Leightner could arrest him, but the man makes him a deal: Let me go and I’ll tell you the real reason I stabbed your brother. As Leightner digs into the hidden causes of his family tragedy, he finds his brother’s murder was about much more than a case of Scotch. The Ninth Step is the 4th book in the Jack Leightner Crime Novels, but you may enjoy reading the series in any order.